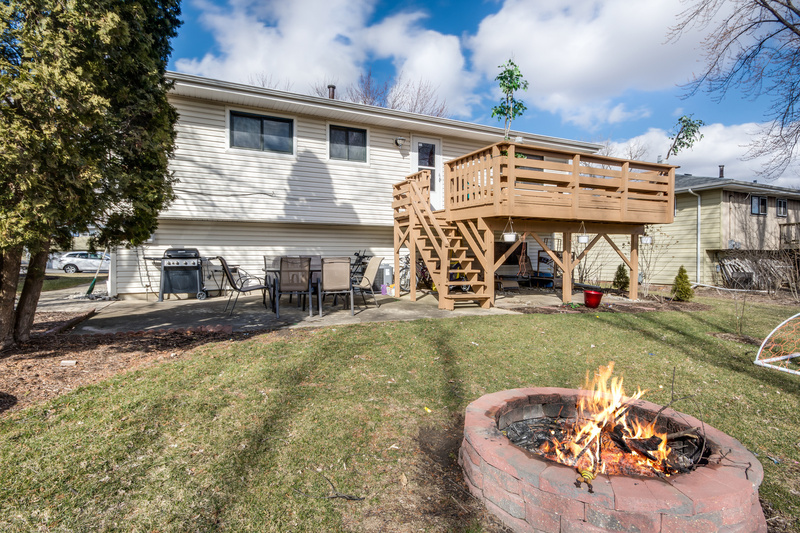 Large back yard for all your family gatherings, cookouts and games. Enjoy the warm flames around the fire pit on a chilly night. Home offers open floor plan, hardwood floors under current floor. Separate dinning area, Kitchen leading outside to deck. Spacious Family room in lower level, full bathroom and laundry area. Newer A/C, HWH, insulation, new roof coming 2019. Brick paved patio in front and back yard surrounded by mature landscaping. Close to Metra, Schools, Shopping and Dining, West Chicago Park District, ARC Center Fitness, Zone250, Turtle Splash Water Park! Prairie paths too. Must see this lovely home located on the north side of town.